The famous fine grade yellow poly-clay. Comes in a plastic clamshell. Yellow poly-clay has been a staple product of detailers for many years, and for good reason… it is great value, has a pliable consistency and works remarkably well. Being a fine grade clay, there is also less chance of marring, although the use of clay lube is still highly recommended (over plain water as a lube). 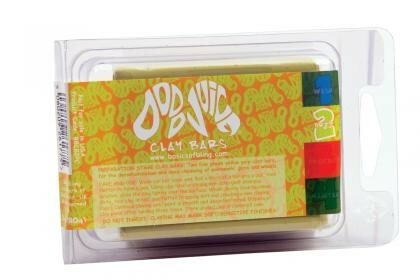 This twin pack of 55g clay (that's 110g maths fans!) comes in a plastic storage clamshell container to help keep dirt, grit, dust and fluff at bay. Bonus.